The best accounting software for small and large farms should be able to track cash sales and manage unpaid invoices. Farmers who want to get some important financial information, there's now a range of good quality software, most of it cloud-based, to help your farming business run much more efficiently. We looked at a mix of systems created specifically for the agriculture industry and the top general accounting packages currently on the market, and we narrowed it down to our top ten recommended farm accounting software. Farm accounting software provides some features that dig deeper into your financial situation. Some of these features and reports include accrual general ledger, cash flow statements, invoicing, market value, payroll, inventory, and financial ratios that tells you trends of what is and is not working on your farm. The others include the option of using double entry accounting to get more in-depth enterprise analysis, which gives you a running up-to-date net worth statement at all times. There are a wide variety of different online and desktop accounting software systems on the market for types of agricultural businesses. In our experience the right accounting software really depends on the type of operation you are running, how much automation you may or may not have in place, you’re level of experience with farm planning, management, or record keeping software and what’s important to your agribusiness. What are Farm Accounting Software? Farm Accounting Software is used to record and process accounting transactions in automating farm activities such as accounts payable, accounts receivable, journal, general ledger, payroll, and trial balance. The software is customized to meet specific farm accounting requirements since each agribusiness has particular activities that are carried out. It is worth noting that the software is a highly specialized tool to manage farm financial operations so the more reason why you should be careful with the kind of accounting software you settle for. Farm accounting software may be on-line based, accessed anywhere and any time with any device which is Internet enabled, or may be desktop based. This financial software varies greatly in its complexity and cost. Connect bank & credit card accounts: You can save a lot of time by automatically banking transactions into accounting software instead of manually inputting each transaction. Just like there is a huge amount of diversity in agriculture, there is a dozen of variety in different farm accounting software products on the market. Keep in mind some software capabilities work better for small scale diverse operations and other work better for larger scale more autonomous farming, and there is everything in between. Exactly, you’d look for a software that offers a broad set of features that can help with your whole the accounting and financial management needs of the farming. At the end of the day we would recommend taking a look at a few different software solutions. Look for an online system that offers you a free no hassle trial, so you can really try it out. See what makes the most sense for your operation and is easy to get started with and use. A good farm accounting software should help your farm business be more efficient, productive and inevitably profitable and it should be able to provide you insight into what is working and not working for you. Is it easy to use? A user interface is user-friendly. You don’t want to waste a bunch of time trying to figure out different features. The software is easy for someone with no bookkeeping background to setup. What are the goals of the company who developed the software? Are they heavily focussed on profits for their investors or are they customer feedback driven and focussed on helping their customers (farmers) be more successful? Was the company founded by people who understand farming or operate farms? Continue reading to learn top ten farm accounting software recent changes and to see if they are a good fit for your business. Figure out where you are, where you want to go and how much time and cost you are willing to spend to get the farm or ranch accounting software. Check out several different farm accounting software and compare price, features, and service. Founded in New Zealand in 2006, Xero is a web-based accounting system designed for to meet the requirements of small and growing businesses. With Xero accounting software, you can spend less time in the office and more time where you need to be. Xero is one of the market’s favorite financial collaboration apps qualified by accountants as the ‘handiest asset for managing financial activities’. Even users with no accounting knowledge find it easy to manage, as it transforms some of most standardized and complex financial concepts into an enjoyable journey. User can also use Xero’s reporting to filter important transactions per category, or generate prolific invoicing histories and track incomings and outgoings through his phone. 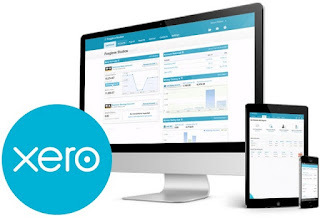 With Xero's robust accounting features, accountants should pay attention to the cash flows, transactions and account details that tracks equity ratio debts and net value per sale, and the Management Reports that reveal the full picture of the company’s profitability based on ROI to improve relationships with the vendors. The Early plan costs $9 per month and is designed for unlimited users. You get a limit of 20 transactions on the bank reconcile option to match the bank transactions entered with those on the statement from bank. It offers to enter 5 bills and has invoicing and basic reporting features. User gets live bank feeds. The Growing plan costs $30 per month. It includes features for creating unlimited invoices and quotes, and generating basic reports. It includes all Early features, but all plans support unlimited bill managing and bank reconciliation. The Established plan costs $60 per month and supports up to unlimited users like the others. It includes the previously mentioned features, along with the abilities to track expenses and support multi-currency. It also enables to create a project management. Farm Biz is your shortcut to computerized Farm Accounting that requires absolutely no setup or accounting background. Farm Biz runs on your desktop or laptop computer, does not connect to the internet or access the cloud, providing you a higher level of security. There is absolutely no setup required to get started. And it's supported with all versions of Windows XP through Windows 10. A good user-interface keeps the menus & data entry input large to facilitate a touch screen environment. Farm Biz focus is on tax reporting and keeping a complete farm financial record so more time can be devoted to management. Farm management professionals recommend the program as one of the easiest and most cost-effective Ag computer software programs available. Even beginners can enter checking account information and begin printing management reports in a matter of minutes. Farmers who want an inexpensive accounting software are recommended to choose this Farm Biz. It retails at only $249.00 that allows farmers and ranchers to gain even more management skills for less than half the price of other Ag specific accounting programs. The chart of accounts designed specifically to produce reports that bankers & lenders find easy to read. They are including checkbook balance, farm profit and loss, complete year detail, cashflow, budget forecasts, vendor activity, employee earnings, enterprise analysis, purchase analysis, sales analysis, money borrowed, net worth, schedule F and more. No need for add-on modules. Farm Biz Accounting is especially designed for farmers & ranchers that desire a ready-made profitability reporting tool. The cost of Farm Biz starts at $249. Easy Farm Accounting Software, by Vertical Solutions, provides multiple solutions to fit the specific needs of your farm industry. If you are farmers without bookkeeping background, buying this platform will probably be stress free wanting to personally setup and install software. EasyFarm provides the ag producer with farm and ranch software that will make record keeping easy while maximizing profitability. EasyFarm saves you time, money, and eases the hassle of farm record-keeping and tracking your field inputs. All while providing in-depth reports, livestock management, and many more features. The newest feature expands your crop record-keeping abilities to an Android device with EasyFarmHand. EasyFarm uses a single-entry input approach when recording transactions. You input a single-entry bookkeeping that lets record transactions quickly so you can get back to running your business. Everything is running in real-time from your live dashboard. With easy input screens, powerful reports, and complete flexibility, all transactions are processed immediately so you can make better business decisions. You can purchase items like seed, fuel, feed, seed, or chemicals – expense them and put them on inventory in one entry. The inventory module allows farmers and ranchers to run beginning and ending balances for both dollars and quantities. Inventory specific report is easily adjustable that helps you track inventory asset valuations, machinery, livestock, sales, purchases, and more. CenterPoint Accounting is a financial system for entrepreneurs who need software with budgeting/forecasting tools to implement a growth strategy. It allows businesses to track important information, so they can easily see which areas of the business are thriving, and which areas need improvement. CenterPoint Accounting runs on both a locally installed program or via a cloud deployment. It can be customized to your business’ needs. When you need to see your data insights, you can easily run a customized report or search, view and edit original source transactions. And then, you can track and compare profitability by profit center, department, production centers, and production years. By seeing data in this way, you know where to prepare business strategies for maximum profitability. CenterPoint also helps for complex ownership built with the latest technology that multiple partners can share accounts and analyze combined data, yet maintain separate financial records. Get the features and tools to help you organize your growing business. CenterPoint financial management software is able to quickly project future cash flow that helps you make smart business decisions and achieve your goals. You can see first-hand the features and benefits of implementing CenterPoint Accounting into your operation. Comprehensive functionality includes general ledger, accounts payable, accounts receivable, fixed assets, inventory, purchase orders, sales orders, ratios module, integrated payroll, and budgeting-financial analysis. Farmers who need the ability to access financial data on the go quickly, QuickBooks Online is one of the best web-based accounting solution. It caters to individual accountants and multiple businesses that makes it a great choice for nearly every business type. The software helps with bank reconciliation, tracking expenses, drafting invoices and monitoring financial reports, among others. 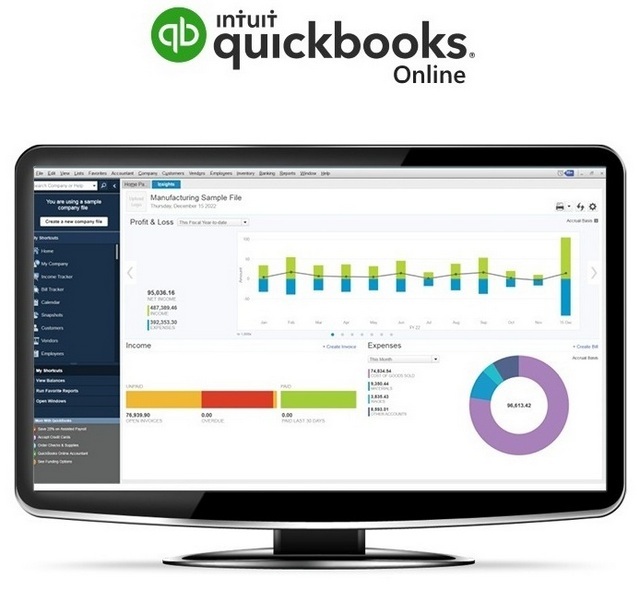 QuickBooks Online enables users to automatically download, categorize, and reconcile credit card transactions. The solution also allows businesses to organize weekly timesheets and record expenses for tax time. You can even take photos of bills and receipts and submit them as expense proofs or share with the concerned stakeholders. 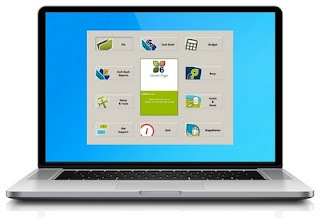 QuickBooks Online offers customizable templates to create custom invoices with your company branding. The software helps to generate various financial reports and stores your data in the cloud and syncs across your devices, making it easy to manage your business on-the-go. QuickBooks Online also allows to set up online payments, using data from integrated applications such as Paypal, American Express and Square. So, you can add a payment button to the invoices that makes it easy and fast for your customers to pay you directly from the invoice. The other solution helps creating recruiting invoices, sending payment receipts online, configuring rules for payment reminders and tracking receivables. QuickBooks Online advanced plan includes all of the features of QuickBooks Plus (listed above) while adding key additions for larger businesses. Farmers who want an accounting software with an extensive report libraries of the many products, the FarmBooks is an ideal solution. FarmBooks makes farm management easy with tools that will track income and expenses to organize your finances. FarmBooks has complete tasks like payroll processing, invoicing, bill tracking, check-writing and inventory management. 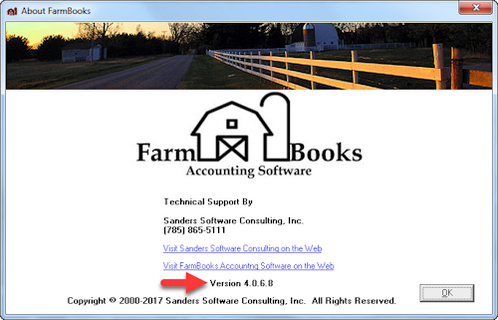 FarmBooks Accounting has a very simple pricing scheme. FarmBooks charges a one-time fee of $395, and you can also purchase a yearly maintenance package for an additional $85 annually. This pricing is only for one farm. If you need to manage more than one farm, you will need to contact FarmBooks for a price quote. Accounts receivable management. It allows you to create invoices and track accounts receivable balances for all of your customers. Asset and liability tracker. You can manage the cost and market value of all assets. Manage bank accounts including write checks, record deposits and withdrawals as well as reconcile to the bank statements for each account. Financial management reports including farm/nonfarm financials, payroll reports, enterprise and production reports, invoicing reports and code listings. Similar to the other products we evaluated, you can sign up for a free trial of FarmBooks to check it out for yourself. However, it is limited to only 30 transactions; once you have reached this limit, you will need to purchase the software to continue using it. Visit the FarmBooks website to complete the free trial request form. 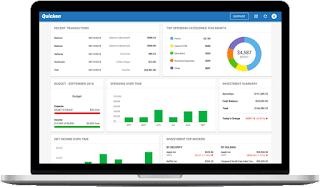 Quicken is an on-premise finance management tool that allows users to take control their financial accounts and investments in one place. The software is available only for Windows and Mac users. The basic starting point for a pre-packaged software might be with "Quicken Starter Edition" or "Quicken Deluxe". Quicken offers three different packages depending upon your needs. Previously, customers were able to purchase licenses of the software, but the company has recently moved to the new yearly subscription pricing structure. 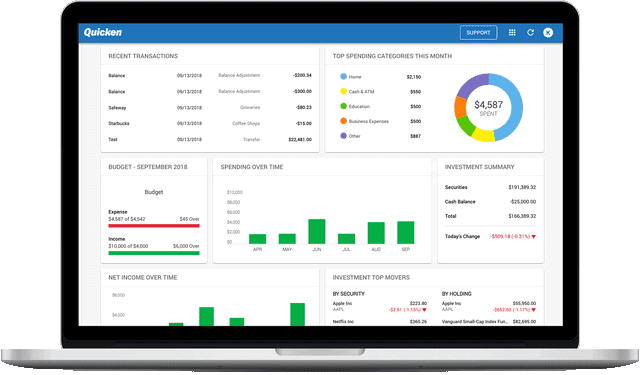 This full-featured finance management platform offers expense tracking, budgeting, reporting, retirement planning, and more. It also tracks your spending trends so you can know exactly where your money is going. Quicken is a first step and gets you used to data entry, check writing, and electronic funds transfer and helps set up the basic chart of accounts. There is no free trial of Quicken's investment tool; however, there is a 30-day money back guarantee. User friendly. For the most part, Quicken is easy for people unfamiliar with accounting terms to use. 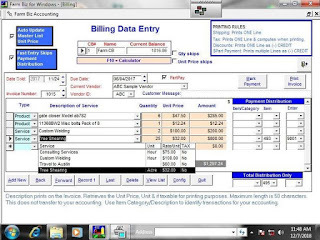 The software is well-organized that makes it a good place to start when changing from a hand-kept cash accounting system to computerized records. Inexpensive and readily available. Depending on the version that you select, Quicken is often running promotions on their site for discounted software. Flexible. Allows record-keeping for a wide variety of agricultural and non-ag business enterprises, as well as family living expenses. Agrimaster, owned by Mastergroup, is an accounting software program that's been designed by farmers for farmers. Agrimaster is backed by over 100 years of farming and financial industry experience and supported by a team that understands the specific needs of users. It handles your day to day accounts and cash book, but more importantly helps you plan and create budgets from your data to explore the future business strategies - it even intelligently connetcs with your bank. The farming industry faces more changeability– Agrimaster helps farmers improve functionality and manage the ups and downs seamlessly. They can check in on their financial standing with easily generated reports and statements. Linked to every stakeholder, Agrimaster provides direct data sharing across the farming industry enabling environment for farmers to improve their productivity. Specialized software for the agricultural industry, Agrimaster saves time, ease of use and allows users to manage and access files easily and securely. PcMars is a full-featured accounting software developed specifically for farms. 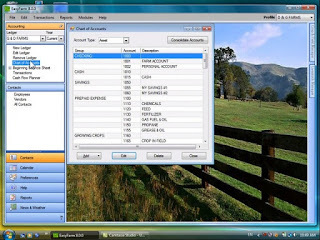 The software conforms with the categories used by the Iowa, Illinois, Michigan, and Minnesota Farm Business Farm Management systems. The software has been called the “Farmer Friendly Software” by the Iowa Farm Business Association. PcMars can be installed on a cash basis single entry or a fully accrual double entry. The solution offers payroll capabilities and detail tax reports. PcMars PLUS includes all the features of the standard version while also including inventory, as well as production data on your primary farm asssets (such as livestock and crops). PcMars works best combining the basic and PLUS versions. Transaction Plus is the best and most versatile accounting software package around for farmers. The features include cash/accrual general ledger, plus powerful and flexible management reporting that will grow with your farm business operation. Comprehensive functionality includes: e-Payment, account payable, account receivable, payroll, inventory register, contracts, scanned documents, report generator, e.CLIPSE managerial accounting, standard cost/vendor monitor, WIP Inventory change, lower of cost/market, and farm trust manager. 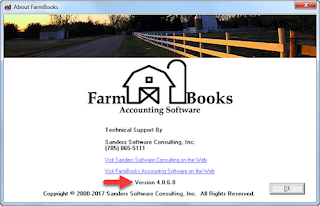 So what’s the best farm accounting software? After reviewing about dozens of systems, you have to consider the right accounting software for small or large farmers. Think about where you are at now and where you eventually want to end up. If you are no bookkeeping background, buying an advanced and complicated financial package will probably leave you frustrated and without any useful records. Overall, you should remember how powerful a farm accounting software can be for any size business. Feel free to bookmark this article for future reference, and share to your friends and partners you know who's struggling with the ranch financial software decision. And let us know if you have any questions in the comments section below! 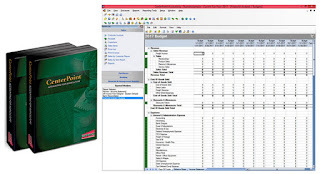 0 Response to "Top 10 Recommended Farm Accounting Software"